What??? We are on Netflix? That's right. You can now tell your family and friends that all they have to do to watch Unrestis log onto Netflix and hit play! We are (or will be) available in 190 countries around the world and twenty languages. This means even more people can see the film and join the movement for equal access to research, treatment and care. But being on Netflix doesn't guarantee views. And watching Unrest is only the beginning. To transform awareness into action, we need to organize! Here are three ways you can help. Shout our Netflix launch from the rooftops. Share on your social networks and let's get our stories seen and heard! You can find images and sample tweets in our social press kit. Watch Unrest again or leave a review. We'd love to get Unrest into Netflix's "Trending Now" section today so casual browsers can stumble upon it and take a look. Views and reviews help. We can do it – with your help! 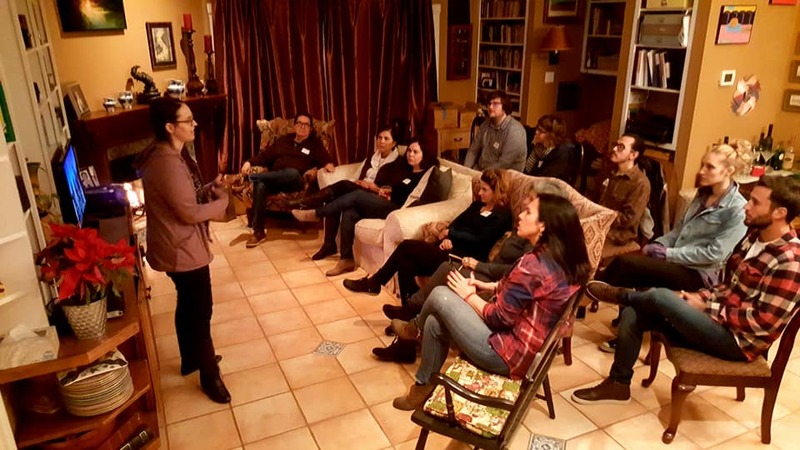 There's still time to sign up and organize a house party to educate friends and family, and take action together. And now with Unrest's availability on Netflix, it's never been easier! Don't have Netflix? US residents can still watch Unrest for free on PBS's Independent Lens website through January 22nd or go here for even more ways to watch. We've come so far together – and this is JUST the beginning. Thank you for your support, your sharing, and your activism. Together, we can change the world. P.S. - Are you ready to show everyone it's #TimeForUnrest by wearing a shirt, hoodie, button, or sporting a tote? Why not grab a poster while you're at it? But hurry-- Unrest merchandise is selling quick! All proceeds from our store help to sustain our global campaign.